The Monetary Policy Committee (MPC) announced the second monetary policy of the fiscal on June 06, 2018. There was little by way of surprise, as the markets had already factored in a 25 basis points rate hike. The repo rate has been hiked by 25 basis points from 6% to 6.25% in the monetary policy announcement. The reverse repo rate, which is pegged to the repo rate, has therefore gone up proportionately from 5.75% to 6%. There was unanimous voting by the members of the MPC with all the six members of the MPC voting emphatically in favour of a rate hike of 25 basis points. 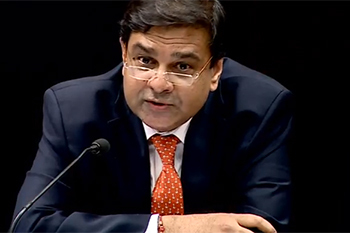 The first indications of a possible rate hike in the June policy was evident from the minutes of the MPC April meet. The MPC minutes are normally released 2 weeks after the actual MPC meet takes place. The MPC minutes throws insights on the discussions of the MPC members and how the rate decision was arrived at. In the April policy minutes, it was quite clear that while only Dr. Patra voted for a 25 basis points rate hike, the other members had expressed worries over the rising inflation. It was this inflation hawkishness that eventually led to a rate hike in the June monetary policy. According to the policy statement, there were 3 key factors which triggered the rate hike by the MPC. The MPC has estimated the CPI inflation in the range of 4.7-5.1% in the first half of the fiscal and at a much lower 4.4% in the second half of the fiscal. That is much higher than the long term target rate of 4% set by the RBI for CPI inflation. The RBI was also worried that the HRA payouts to government employees and the higher MSP to Kharif farmers could also increase rural spending power and boost inflation. The key to a long term growth story is keeping inflation low. The RBI obviously did not want to risk higher inflation, which would reduce the growth rate in real terms. The best way was to contain inflation by a rate hike of 25 basis points, which would send the right signals to the market. For a very long time since the beginning of 2015, the only reason the RBI maintained a low rate policy was due to weak growth. That weak growth was manifested in lower IIP and also in the lower PMI-Manufacturing. To be frank, these numbers are yet to improve substantially but the green shoots of recovery are there. The liquidity sucked out in the aftermath of demonetization is back in circulation and that is helping economic growth. The GDP growth has revived to 7.7% in the fourth quarter ended March 2018, although the full year growth at 6.7% leaves a lot to be desired. The key consideration for the RBI was that the argument of keeping rates low to drive growth is not relevant any longer. That was partially achieved by demonetization and partly will be achieved when the NCLT completes its debt recovery. Higher growth is inflationary and the best way to have growth without stoking inflation is to keep tweaking the interest rate upwards. That was the key factor that impelled the MPC to hurry through with the rate hike in June itself. There was some wishful thinking in the bond markets that the RBI may put off rate hikes may be put off till August, but the problem of a weak rupee was much more serious and immediate. Global bond yields were moving up sharply, inflation expectations were going up and the trade deficit and capital outflows were making the rupee weaker. The RBI had held on to status quo for too long. The time was ripe to hike rates by 25 basis points to stem the fall in the INR. That is exactly what the MPC has done. The MPC has maintained its stance as neutral so any future course of action will purely be data based. Greater details of the discussions will only be available when the final minutes of the MPC are released on June 20th. But the rate hike of 25 basis points definitely opens up a plethora of possibilities for the next MPC meet on August 01st.